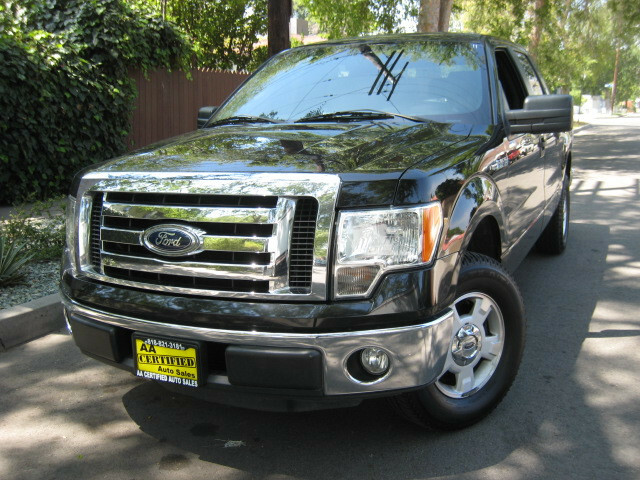 2012 FORD F-150 SUPER CREW XLT, V-6 3.7 Liter !!!!!!!!!!!!!!! !ONLY 118K MILES, Black With Gray Interior ........... Loaded With Auto Trans. Power Window, Door Locks, Power Mirror ............ AM/FM /MP3/ AUX........!!!!!!!!!! Tilt, Cruise Control, Bed Liner, traction Control, ABS, Alloy Wheels And Much More..........!!!!!!!!!!!!!!!! Call Us Now to Schedule a Test Drive (818) 821-3181 OR Come See Us In Person at 5635 Tujunga Ave. North Hollywood CA. 91601...............Vehicle History Available ........ !!!!!!!!!!!!!!!!! LOW APR Financing Available For Qualified Buyers. BAD CREDIT, NO PROBLEM (on approved down payment)...........................WE HAVE MORE TRUCKS, SUV'S AS WELL AS LOW MILEAGE AFFORDABLE CARS IN STOCK FOR YOU TO CHOOSE FROM.